At least 39 fishing boats have been burned by a fire that started at dawn today in the port of Benoa, on the Indonesian island of Bali, located in the tourist provincial capital Denpasar. Authorities today ruled out fatalities or injuries in the fire that had not yet been quashed this afternoon. 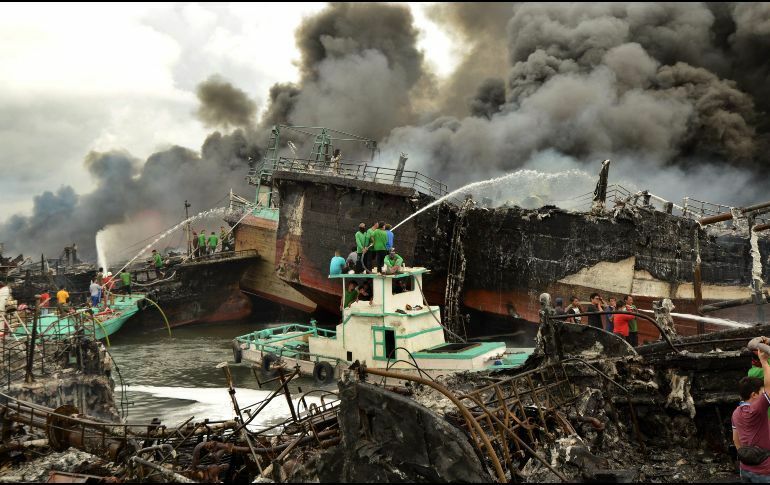 The Regional Agency for Disaster Management (BPBD, in Indonesian) said in a statement that the burned boats belonged to at least three companies and others were private. Images disseminated by the BPBD show a huge column of black smoke that rises over the Bay of Benoa, which required the intervention of eleven fire departments. The authorities have opened an investigation to clarify the origin of the flames, which could be due to a short circuit. Tourism authorities expect Bali to attract seven million tourists this year.